Tiyaan has been scheduled to hit the theatres as an Eid release. Director Jiyen Krishnakumar's movie Tiyaan, starring Prithviraj Sukumaran and Indrajith Sukumaran, is tagged as one of the most-anticipated movies in Malayalam. Thanks to its impressive teaser and trailer that have raised the expectations of the audience, who believe it to be the first-of-its-kind movie in Indian cinema. However, the movie, scripted by Murali Gopy, is set to grab the attention of pan-India audience as it has an ensemble cast from all over the country. 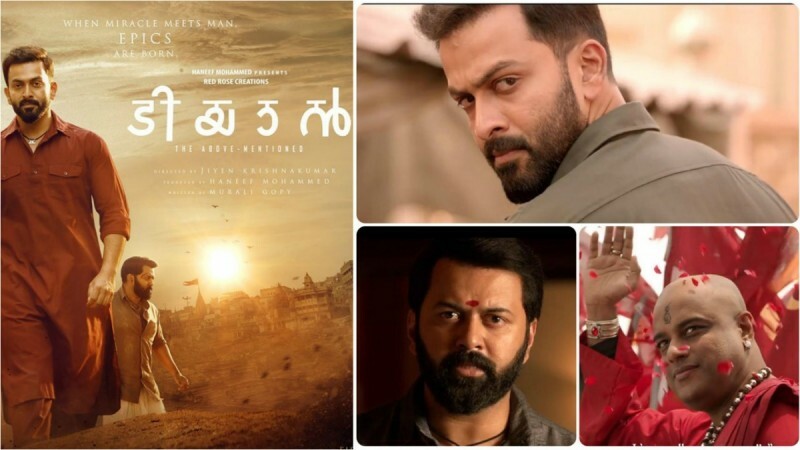 Apart from Prithviraj, Indrajith and Murali, Tiyaan also stars Amit Tiwari, Mrudula Sathe, Ranjeet, Ravi Singh, Suraj Venjaramoodu, Shine Tom Chacko, Padmapriya, Ananya and Paris Laxmi in significant roles. Balika Vadhu-fame Mrudula will be seen as Prithviraj's character Aslan Muhammad's wife, while Indrajith's youngest daughter Nakshathra will make her acting debut as his screen daughter as well. Did you notice THIS star kid in Tiyaan trailer? Both Prithviraj and Indrajith have claimed that the characters they portray in Tiyaan are the most challenging ones they have done so far. Both the actors had shared emotional Facebook posts of after they wrapped up the shooting of the movie. "Few characters can stake claim to influencing the actor at a level that is deeper than the self, inner than the conscience. Aslan will have taught me a lot..lessons that I'm sure are left to be discovered in my life henceforth [sic]," Prithviraj stated. "TIYAAN undoubtedly will be one of the biggest ever movies produced in Malayalam, and god willingly shud present the viewers with a cinematic experience like never before," Indrajith shared about Tiyaan. Tiyaan, the debut directorial venture of Jiyen, bankrolled by Haneef Mohammed, is scheduled to hit the screens as an Eid release.